Photo: Rufus A. Green House, ca. 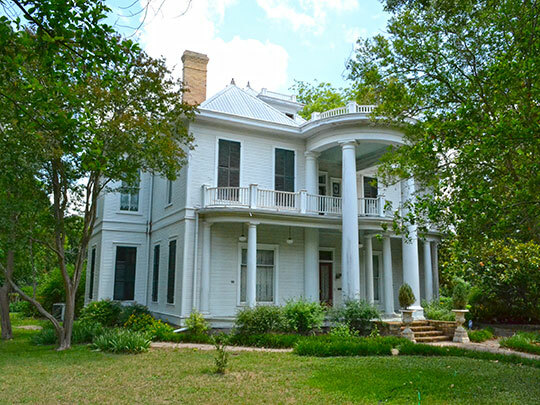 1888, 1501 Church Street, Bastrop, TX. Listed on National Register of Historic Places in 1978. Photographed by user:25or6to4, 2014, (own work) [cc-by-3.0 (creativecommons.org/licenses/by/3.0)], via Wikimedia Commons, accessed June, 2015. The Bastrop County Courthouse is located at 804 Pecan Street, Bastrop, TX 78602; phone: 512-581-7100. The county, originally named Mina County, was established in 1836. Sam Houston renamed the county (and county town) Bastrop in 1838. The territory of the county when created was much larger than it currently. Over the following years parts of 8 or more counties were taken off, gradually reducing the county to its present size.